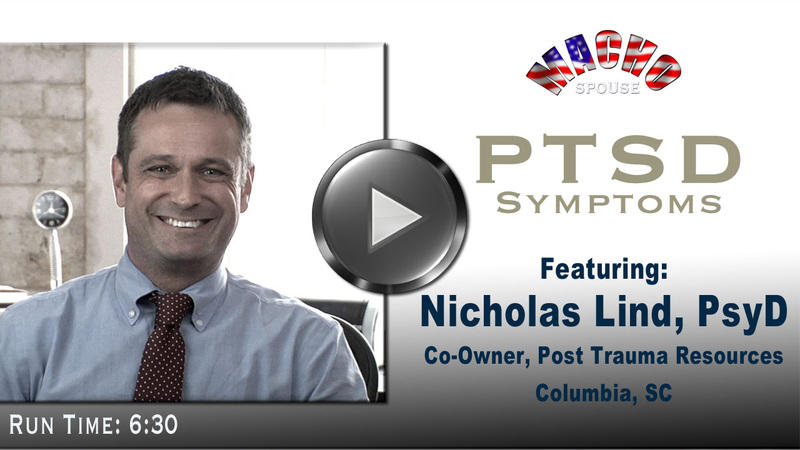 In this "Quick Hitter" video on Helping Kids Cope with Deployments, we have a tough question from an anonymous male military spouse that Elizabeth Cabibi, M.S.,LMFT (Licensed Marriage and Family Therapist) answers. 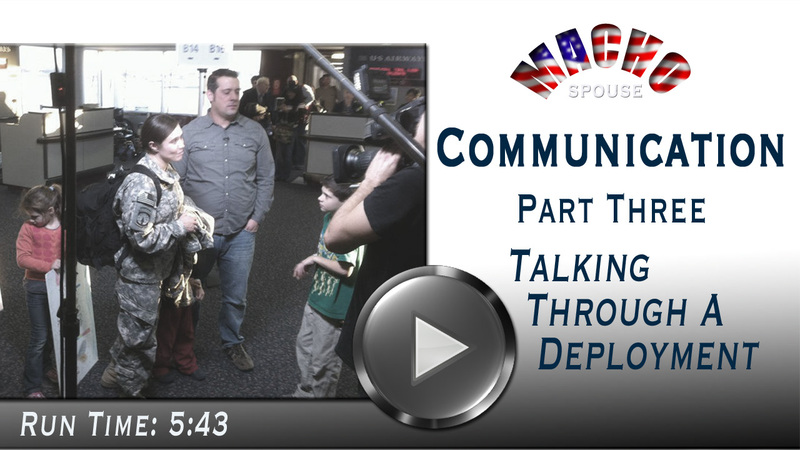 "What is the best thing to do for a child that won't calm down from missing the parent that is deployed? I tried cuddling him and just being there but didn't really seem to help." 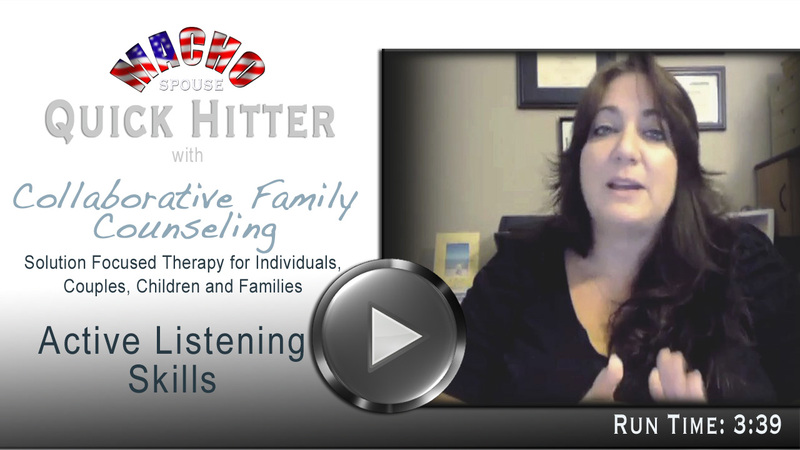 There are many things we can do to assist a child that is coping with the absence of a parent. Hopefully, a ritual can be setup before the parent is deployed or has to be absent from the home for a long period of time, that helps the child feel safe and comfortable. For instance, a nightly ritual of the parent telling them a bedtime story. So, a video can be made of the parent telling them that story. But often times, we don't have the luxury of having a length of time to develop these rituals. In that case, objects are very helpful. For instance, a teddy bear, a pillow with a picture of the parent on it or a blanket. These kids of things can be something that the child can hold on to when they're feeling upset about the parent being gone. It is also important to validate that child's feelings and express your own feelings in those moments. "I understand that you're sad that mommy (or daddy) is not here. I'm sad and I miss them, too." Give them an opportunity to talk about it if they want to or just to express themselves. It's going to take time. Establish a ritual - Please don't sacrifice and chickens or pigs. This is NOT religious in nature. Instead, read bedtime stories...or better yet, video your wife reading the bedtime story. No video? No problem. Use an object of some sort, but not just any old object...a stuffed animal would be cool or pillow or a blanket...an object that has some sort of meaning for your child. Validate your child's feelings while sharing your own feelings. For more questions on this subject visit the Collaborative Family Counseling website. If you are in need of more in-depth marital/family counseling, contact Elizabeth Cabibi, MSLMFT at (808) 685-2425. "Quick Hitters" are short, to the point, videos that address a singular topic and/or question. Elizabeth Cabibi, owner of Collaborative Family Counseling, donates her time and knowledge through Skype and is available to all spouses via the same technology.